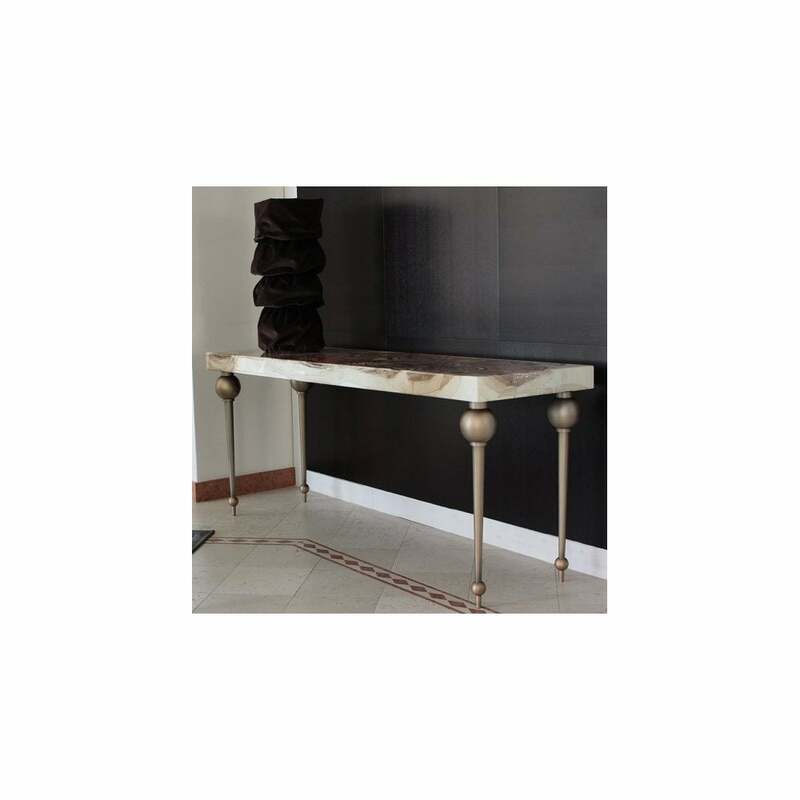 The Marilyn Console by Rugiano Interiors will bring a touch of luxury to any entranceway or living space. Hand-crafted using only the highest quality materials, the Marilyn Console table is designed and made in the heart of Italy’s fashion capital, Milan. Choose from leather upholstery, decorative paint, exquisite marble or carved wood to create a bespoke table top to suit your scheme. The statement frame features two decorative spheres that add a modernity to the classic console design. The legs are available in steel, bronze or black chrome. Use to display greenery, flowers and ornamental pieces to create a chic look that exudes Italian glamour.